The Swiss Army Mouse Trap is a Physical type weapon. Three razor sharp knife blades come downwards rapidly while a half dozen high speed drill bits come upwards, leaving little evidence that the mouse ever existed. 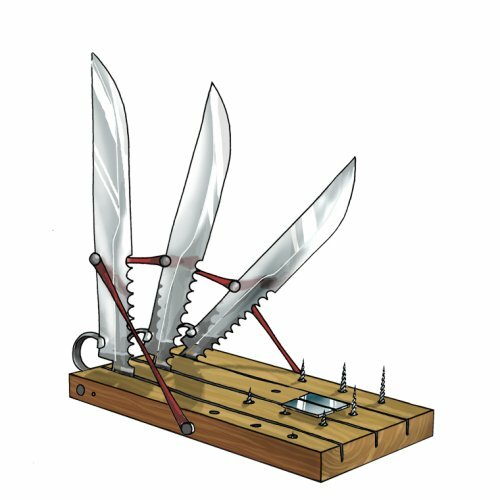 The Swiss Army Mouse Trap can be purchased for 70,300 gold from the Town of Gnawnia and King's Gauntlet Trapsmiths. It refunds for 12,655 gold at the same locations. It can also be purchased from the Great Gnarled Tree Trapsmith for 68,895 gold, where it refunds for 12,405 gold. This page was last edited on 13 January 2019, at 13:30.